How Do Agents View The Transfer Window? 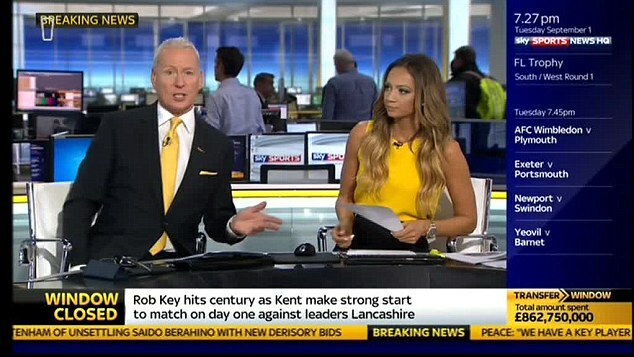 In recent years transfer deadline day has become a phenomenon that transcends football. It is now an event in its own right, the culmination of weeks of fevered speculation in the press, on message boards, fan forums and social media. Those on the outside are fascinated by it, but for the people involved, agents included, it can be a nightmare. The transfer window was made compulsory by FIFA in 2002, bringing English clubs in line with their European counterparts. The idea was to reduce unwanted mid-season upheaval but, despite the best of intentions, it has been widely criticised ever since for its pantomime drama and being a contributing factor to spiralling transfer fees and player power. For Lee Philpott, founder of LPM Football Agents, it is the framework in which his company must operate. A flying winger for several clubs, including a spell with Leicester City in the Premier League, Philpott set up his business shortly after retiring in 2008. “I wanted to remain in football because that’s been my life from a very young age,” says Philpott. “That’s all I’ve ever known. Initially I went down the coaching route because I was player-assistant manager at a club (Harrogate Town). I took my coaching badges but I didn’t enjoy it once I was actually doing it. It wasn’t really for me. Philpott felt that not having an agent throughout his career had held him back at times and restricted his opportunities. Without someone working the angles for him, there may have been interest from clubs that he never got to hear about. One example, his transfer from Cambridge United to Leicester, clearly sticks out above the rest. “The actual deal took over six months to go through from the end of the season, when Cambridge played Leicester in the play-offs. The move didn’t happen until November. All of that time Leicester were trying to buy me but I wasn’t aware of it apart from seeing little clips in the papers. “I didn’t have an agent at the time so I wasn’t aware. When I approached Cambridge they said it was just rumours. Eventually, when I did go to Leicester I was informed that they had been negotiating for six months. Since establishing his business nine years ago, Philpott has seen it grow significantly. He now employs four agents, a commercial and media manager, a lawyer and several scouts. Together they look after 60 clients of all ages spread across the top five levels of English football, from young Premier League players to senior professionals in the National League. The company’s head office is based in Hull but the agents are spread across the country, from Newcastle down to London. This summer was the most demanding that LPM Football Agents has experienced. In total they completed 37 transactions, either new contracts or transfers between clubs, which is four more than last year when they were the sixth busiest agency in the country. The work can be relentless. “Loads and loads of time is spent on the phone, whether it’s in the office or in the car. Years ago I used to drive along and have music on, or listen to the radio, but whenever I’m in the car now I’m on the phone. No matter how long the journey is, there’s never a break,” Philpott explains. No two days are the same. Clients can have very different expectations regarding the amount of contact and support they receive from their agent. 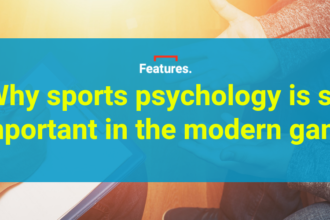 As a former player, Philpott’s experience of dressing room dynamics and dealing with a wide variety of teammates, coaches and managers enables him to offer guidance on many of the issues that might crop up. While he emphasises how seriously he takes the business and his determination to do the best for the players he works with, Philpott is aware that agents aren’t universally popular. Perhaps coloured by the actions of those operating at the highest level, and the tremendous influence they wield on football, the public image of agents is usually painted by greed and self-interest. “There’s good and bad in every profession, isn’t there? Whatever industry you’re in. The people I associate myself with, we try to provide an honest service. We’re professional. We work hard because we’re here long term, not for a couple of years and to get out. “You shouldn’t believe everything that you read either. I’m not blaming the media, but they need to make stories at times. It sells newspapers or digital advertising space. You can’t believe everything you hear, but it’s out there. “I think the public’s perception is that the agent makes decisions and he’s like a puppetmaster. That isn’t the case. My job is really to present options to my clients, let them decide what they want to do, and then facilitate the move if needs be. Philpott and his team are always busy, but the workload goes into overdrive during the transfer window. The phone never stops ringing and 14-hour days become the norm. Deadline day is a maelstrom of activity. Everything is accelerated and the pressure to get things done is enormous. Jonathan Dean, who has been working with Philpott for a number of years, made 130 calls in the space of 10 hours. One Championship move went through smoothly and was completed a couple of hours before the deadline, while two out-of-contract players were fixed up with clubs in League Two and the National League. The move that fell through concerned a League One player. It had been in the works for a while but the two clubs weren’t able to agree a transfer fee until the final day of the window. Although the player was keen to go, there was a discrepancy between the terms being discussed. Philpott was left in limbo as negotiations went on. Primed in the office to make sure he could get there in time to conclude everything, ultimately he wasn’t needed. To prevent such absurdity from interfering with the football season, plans are afoot to bring deadline day forward to before the fixtures start. It will mean more work in a tighter timeframe for agents and clubs, but Philpott feels a lot is currently lost to procrastination. The brinkmanship played by many clubs exploring every conceivable avenue often leaves them rushing to complete their business in the final hours. If anything, an earlier deadline would at least allow Philpott to clock off for the summer a bit sooner. “Football isn’t a 9-5 world. You don’t have Sundays off. If people want you they ring you, and that’s it.